Testimonial by Kimberly Barone » Anna Helm, Ph. D.
I had the honor of being a student in Professor Anna Helm’s spring 2008 class “International Marketing Management.” From day one, Professor Helm made it clear to the class that she was there for the students: she learned every person’s name within the first session. This dedicated gesture of learning every name was the most positive impression that any professor I have had has made on a class. Professor Helm knew how to start off on the right foot, and her respect for the class was reciprocated by inspired students who were eager to rise to the challenges of academic rigor that her course presented. Throughout the semester, Anna continued her dedication to her class’s learning by making herself accessible to the students. Her prompt responses to emails and flexible office hours made her a valuable learning tool. Professor Helm welcomed questions and encouraged dialogue in the classroom. She has an excellent gift for facilitating classroom discussion and integrating course concepts with relevant current event and business examples. I especially appreciated her cross-cultural background and interesting ideas that she shared with us about her own international business ventures and experience. Her positive enthusiasm for the concepts was evident in every class session. Her passion for the subject matter kept all of the students involved and participating, which substantially enhanced my learning experience. 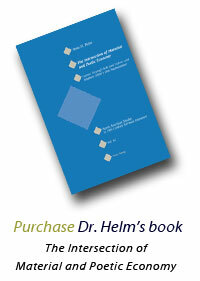 One of the highlights from Professor Helm’s course was a semester-long marketing project. The process-oriented project progressed in a way that flowed well with the material as the concepts were being taught. This project helped to enrich my researching skills and Professor Helm was helpful in suggesting new databases and sources from which to extract applicable information. I appreciated the planning that went in to the process layout of the project and liked having benchmarks during the months to gauge progress. Professor Helm accepted drafts of the projects to offer suggestions on ways to strengthen the various sections before final draft submission. She dedicated a remarkable amount of time to making sure that her students gained the most possible knowledge from her course. The final elements of the comprehensive marketing project required students to present their plans in front of the classroom while being video taped. The students had to review their presentations and reflect on them. This well-rounded project from start to completion made everyone a better student. Another element of the class which I thoroughly enjoyed was that students were required to attend any two off-campus events related to International Marketing and report to the class via Blackboard about the events. This project forced the students to step outside of the comfort zones at GWU and take advantage of DC’s resources. It was during this class that I discovered WITA–theWashingtonInternationalTradeAssociation. At the suggestion of Professor Helm,I volunteered with the organization so that I could attend the events for free. Without this assignment, I probably never would have branched out to become involved with WITA. WITA gave me a jumpstart in networking and helped me to set goals for a career path in international commerce. Anna’s involvement outside the classroom was much appreciated and well received by my peers and other professors. As a member of CIBER, she always made sure to involve her students in the international business-focused events. One of my favorite events she invited her students to was a Panel on International Careers for Undergraduate Students. This event consisted of three panelists and a moderator from varying careers, and they offered valuable advice regarding the interview process, planning for living abroad and networking. CIBER events supplemented my learning outside of the classroom, and the topics were intriguing. My impression of Professor Anna Helm is exceptionally positive. Anna is a detail- oriented intellectual with a sharp memory. Her communication skills are excellent and she makes the course concepts easy to comprehend. She always brought interesting ideas to class discussions, had innovative businesses and products to share with the students, and also taught her lessons mindful of sustainability. Her course was planned in an effective way with precise time management. As a student, I left her class as a better writer, a better contributor to discussions and a better presenter. Her classroom style equips students with a set of tools directly applicable to academic and professional life. 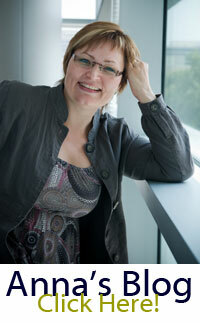 Professor Anna Helm is a valuable asset to the George Washington University and its students. She has demonstrated to her students an unparalleled passion for teaching International Business and brings to the table a cross-cultural background that enriches the classroom experience. She has inspired my peers and me to go beyond the boundaries of GW’s campus, to explore international commerce in the professional world.